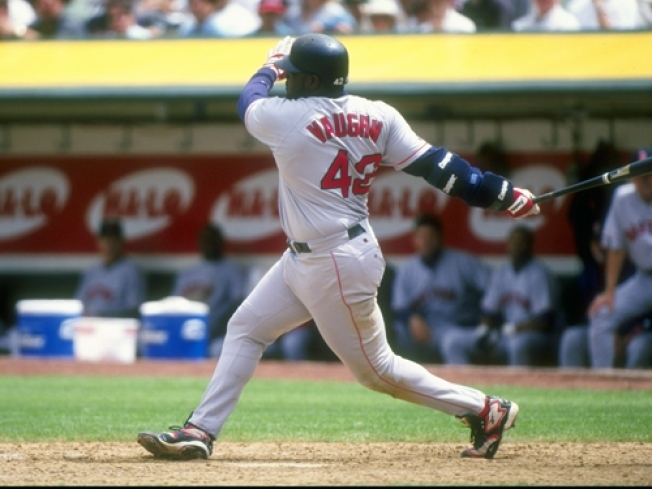 Mo Vaughn #42 of the Boston Red Sox in 1998 during a game against the Oakland Athletics. Some Massachusetts residents will be calling former Rex Sox MVP Mo Vaughn their landlord. The Norwalk, Conn., native’s company recently an affordable housing complex in Lawrence, Mass. and plans to make Major League-size improvements. Just leave the guns and drugs behind, and Vaughn says his company does not tolerate criminal behavior. The former outspoken Boston Red Sox first baseman, who cofounded Omni New York LLC when he retired from baseball, tells the Eagle-Tribune that his company plans $6 million in improvements to the 168-unit Sycamore Village complex that will include new appliances and exterior renovations. He will also include the installation of security cameras and outdoor lighting. Planning Director Michael Sweeney says Omni's purchase is a "major reinvestment" in the city. Most of the company’s other properties are in New York, according to the company Web site. Vaughn played 12 years in the majors and won the AL MVP award in 1995.